The Handicap races are held on the Second Monday of every month (except for the Trophy Race which will be the First Monday in September) and two courses are used. Registration for the Handicaps is at Kirkham & Wesham Cricket Club from 6-45 pm to 7-00 pm , with the Handicaps starting at approximately 7-15 pm. Please all wear a Hi-viz top/bib for safety for the Winter Handicaps. The Summer Handicap starts at the Windmill on the top of Dowbridge, Kirkham and the distance is 4.9 miles. The route is out into the countryside around Treales. All Summer Handicaps are fully marshalled at every junction. The last race of the Summer Handicaps is the Trophy Race. Reflective safety wear is compulsory for this race. The first race of the series is a “mass start”. All the runners start off together and their times are recorded when they finish. The following 11 races in the series are “staggered starts”. Start times are determined from previous handicap results. Anyone wishing to qualify for the end of year Handicap Champions Race will need to have completed at least two winter and two summer races. The first qualifying Man and Lady to cross the line will be declared the winners and will be presented with a Trophy and Prize. 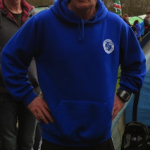 If everything goes to plan in the final race all the runners should finish together!!!!!! High Vis and reflective clothing must be worn for all winter handicaps and the final summer race. 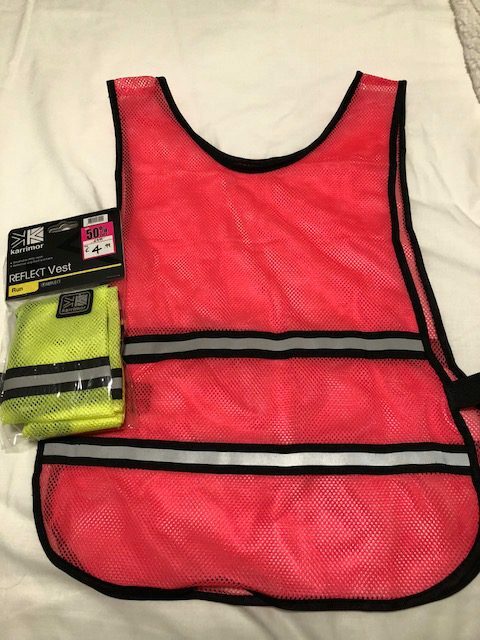 Order a high vis vest online and pick up from the club on Monday. 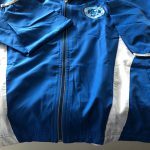 Mens Rain Jacket (zip off sleeves) !